Attention sellers! In the current market you don’t have to compete against numerous other sellers…this is a great time to list! Attention buyers! In the current market, you don’t have to compete with ten other buyers for the same home! So if you are thinking of selling your home, or buying a home…NOW is a GREAT time! Of course you sellers will want your buyers to be pre-approved with Mitchell Mortgage, and buyers, Mitchell Mortgage should be your first stop to find out how much you qualify for! Call Michael Mitchell today at 707-259-1117, 530-406-2200 or cell at 707-337-5970! Good time to buy that special someone a new house! What better way to say “Be my Valentine”! You may think I’m kidding, but just check out the rates on loan amounts lower than $484,350.00…in the low 4’s…and if you want to borrow all the way up to $726,525.00, then your interest rate will be in the mid 4’s! This is for primary residence purchase loans with 20% down, but cashout refi’s are low too. Give Michael Mitchell a call at 707-259-1117, 530-406-2200 or cell at 707-337-5970! Your Valentine will be glad you did! Turmoil can work in your favor! Turmoil is usually a bad thing, but when it is national and international, that usually works in the favor of lower interest rates. The reason? Financial markets love consistency…they hate the unknown…and turmoil makes them anxious. So what happens is large investors make the flight to quality and safety. That means they buy long term bonds, which lowers mortgage rates. For how long is anybody’s guess, but if you are thinking of locking a loan…now is probably a good time! If you need help with the purchase of real estate or a refinance of property you own, call today! 707-259-1117, 530-406-2200 or 707-337-5970 Cell! Happy Thanksgiving to All!!! Please feel free to call Michael with any mortgage related questions throughout the holiday! It is understood that a fast answer is best for everyone! 707-259-1117, 530-406-2200 or 707-337-5970! Owning vs. Renting…hint…Owning is BETTER! Word to renters…Average homeowners have net worth of around $195,000.00. Average renters have a net worth of around $5,600.00. The obvious difference is in the equity of the home. It would make sense to talk with a lender as soon as possible about the quickest path you could take to achieve homeownership. If you already own a home, the numbers still say, you should buy another one. Call Michael Mitchell at 530-406-2200, 707-259-1117 or cell at 707-337-5970 today!!! More communication means less stress! Note to all buyers and realtors representing buyers: Do not fear the need for counseling! In a just completed transaction of 3% down and mortgage insurance built into the rate for a first time homebuyer, Freddie Macs Home Possible Program insists on real estate counseling from one of several options. This was handled online, it was 10 questions and Freddie Mac will then let you print out a certificate that proves you have completed the requirement. Oh yeah…it was at no charge!!! Also, the lender paid for the appraisal at closing. 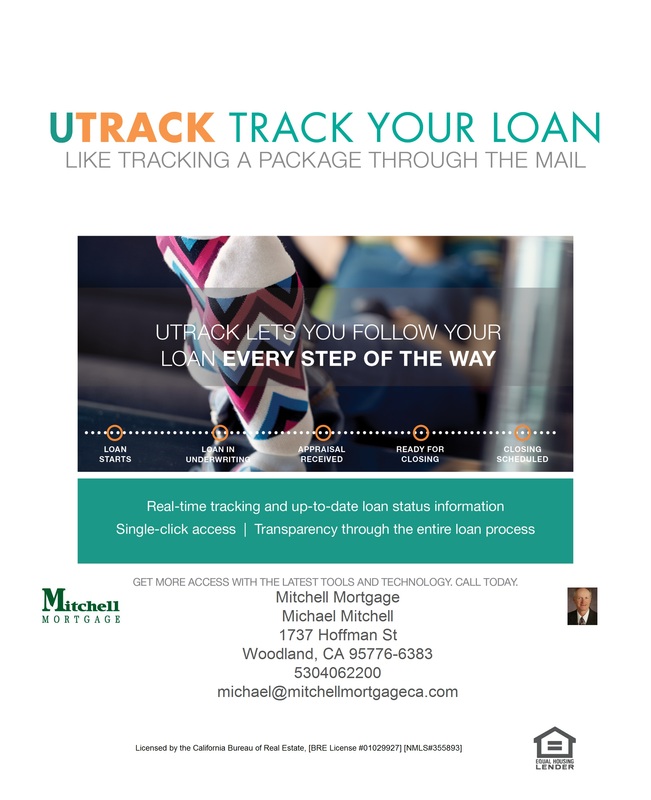 So the next time you are faced with this situation on loan amounts up to $453,100, call Mitchell Mortgage at 707-259-1117, 530-406-2200 or 707-337-5970 mobile…we know what to do! No impounds for taxes & insurance in California up to 95% LTV!!! When this program first came out, California was held to 90% loan to value if you wanted to skip having to have impounds for taxes and insurance when closing your loan. We now have a lender who will (on conventional loans only) take that offer to 95% loan to value! This can save thousands at closing and means you can afford a larger loan, or you can save some money for reserves. 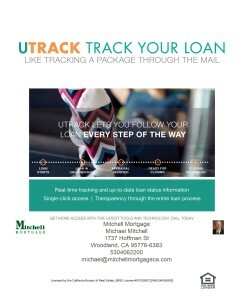 Call Michael at Mitchell Mortgage today and find out if this helps you for your next purchase or refinance! 707-259-1117, 530-406-2200 or 707-337-5970 mobile.